High performance vibro sifters, sieves and screens for safeguarding the quality of your final products. 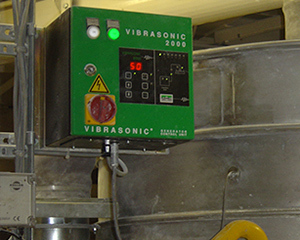 Eliminate mesh blinding and blockage of difficult powders, allowing accurate separation down to 20µ. Enclosed liquid filtration with a unique self-cleaning wiper system for continuous filtration down to 10µm. 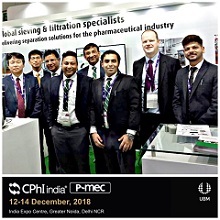 Accurately remove all oversize contamination from your liquids and powders, safeguarding your product quality and your reputation. Separation solutions delivering optimum screening efficiency, ensuring production capacities are maintained. Combining high quality manufacture, robust design and a strong focus on after sales support, you can be assured of a separation solution you can rely on. 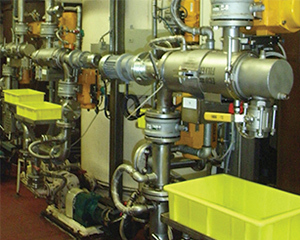 Minimize production downtime and product wastage while ensuring operational and maintenance costs are kept to a minimum. 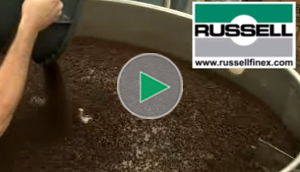 Industrial liquid chocolate filtration using the innovative Self-Cleaning Russell Eco Filter. 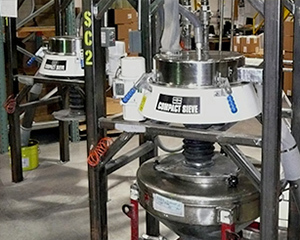 The Finex Ultima vibro separator used to grade coffee beans to give improved quality product. 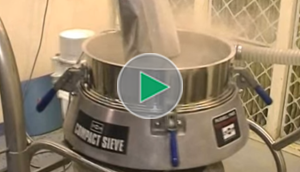 Separating powder coatings for the powder paints industry using the Russell Compact Sieve. Industrial vibro screen separator sieving turmeric powder. 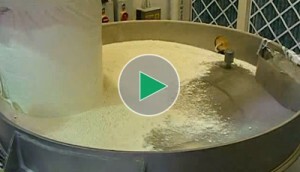 Watch the process of sieving wheat flour with 1500mm Russell Compact Sieve. 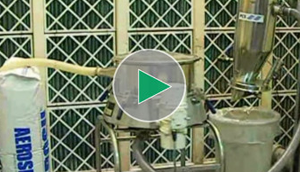 Trial video demonstrating sieving of Aerosil with enclosed pneumatic conveying.